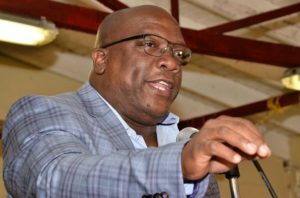 BASSETERRE, St. Kitts, March 2, 2017 (Press Unit in the Office of the Prime Minister) – Prime Minister Dr. the Honourable Timothy Harris says no one can deny the fact that good things are happening in the delivery of healthcare in St. Kitts and Nevis under the Government of National Unity. 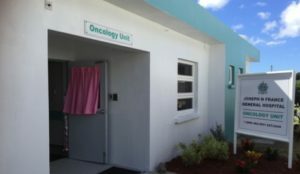 Prime Minister Harris, speaking at Tuesday’s Good Governance and Accountability for Prosperity town hall meeting at the Saddlers Primary School, pointed to the delivery of chemotherapy treatment for cancer patients at the Joseph N. France General Hospital’s Oncology Unit, which opened on December 6, 2016. While updating the nation on developments at the Oncology Unit during the 20th January sitting of the National Assembly, Minister of Health, Senator the Honourable Wendy Phipps stated that the first chemotherapy treatment was done on Monday, January 09, 2017. Two more patients, all females between the ages of 31 and 49, were also treated in January. Dr. Harris also spoke with pride of the fact that as of December 2016, more than 400 persons benefitted from Magnetic Resonance Imaging or MRI scans at the St. Kitts Biomedical Research Foundation at Bourryeau Estate. “Right here in our country, 400 plus persons between May and December were able to benefit from MRI services right here in St. Kitts; right here at Bourryeau! Never happened before. We have saved them the cost of travel, the inconvenience of travel and all the associated expenses and would you believe that even people coming off the cruise ships go for MRI services right here in St. Kitts. 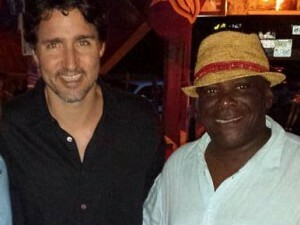 Guests at the Marriott have left there to go to MRI services right here in Lower Bourryeau in St. Kitts,” the prime minister stated. “But equally important for me is the fact that by next year, we will have introduced a National Insurance Health Scheme so that everyone, regardless of age, class, colour, creed or gender will be able to go to a doctor, pull out their insurance card and that will be enough to take care of their treatment and care,” Dr. Harris continued. While the government remains committed to providing the necessary healthcare services for every citizen, Prime Minister Harris, who also serves as CARICOM’s Lead Head on health, stressed that the responsibility for one’s health, first and foremost, rests in one’s own hands.